The Obama administration extolled its “leverage” from foreign aid to Egypt only to demonstrate Washington’s complete political impotence. Now a new study has found that the United Nations’ celebrated Millennium Development Goals have no effect on economic development. In 2000 government leaders around the globe met and adopted the United Nations Millennium Declaration. 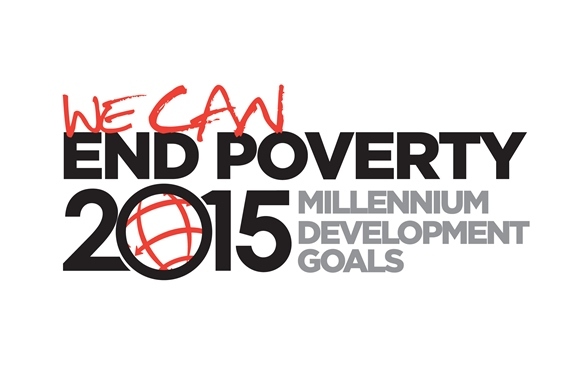 Participants set a number of objectives—called the Millennium Development Goals—for reducing extreme poverty by 2015. The chief tool was expected to be foreign aid. Alas, the record of more than six decades of financial transfers running in the trillions of dollars—from the U.S., other nations, the U.N., and other organizations, such as the multilateral development banks—is failure. Foreign “aid” turned into foreign hindrance, creating long-term dependency while reinforcing self-defeating collectivist economic strategies and subsidizing authoritarian political systems. Since 2000 total assistance from industrialized states alone has more than doubled, going from $53.9 to $125.6 billion last year. Most of the poorest nations are receiving significantly more money today than a decade ago. That is a laudable objective. But no combination of U.N. standards and international monies are likely to achieve that result. It turns out the MDGs have not even reduced extreme poverty. The U.N. simply assumes the benefits of its activities, rather like the term “foreign aid” itself. Unfortunately for the organization, Dr. Howard Steven Friedman of Columbia University, also with the U.N. Population Fund, analyzed the impact of the MDGs. Although the MDGs spurred more foreign giving, he concluded: “The data show clearly that the activities following the MDG Declaration did not provide an acceleration in most of the development goals. For the subset of MDG indicators that experienced an acceleration, the accelerations tended to occur before the MDG Declaration.” Which means there is no evidence that the MDGs and the money behind them helped the world’s poor. Why are poor nations doing better? Even Africa, which for many decades was racing in reverse, has been making significant progress. For this we can thank the marketplace, not structural economists, central planning, aid bureaucracies, government-to-government transfers, and the MDGs. Dirigiste economics died amidst persistent Third World poverty, the collapse of communism, and exploding globalization. Nations entered an ever wider global circle of exchange, empowered by domestic economic reform and fueled by trade and foreign direct investment. For instance, developing states collected more than $700 billion in FDI last year. These funds create new and better options for millions of people once seemingly trapped in a world of enduring poverty. Rather than hope more international communiqués and funds will eliminate poverty, Western states should reconsider policies which hinder developing countries from taking full advantage of the global marketplace. For example, protectionism, especially in agriculture, is one costly barrier. Political “aid” which strengthens regimes that, like Egypt, actively hinder economic and political reform also impedes development. The cup again will be passed to cash-strapped governments to fund the MDGs, and whatever replaces them in 2015. But governments should stop wasting their people’s hard-earned cash when the only result will be to add to the fiscal tsunami threatening their children’s future. Doug Bandow is a Senior Fellow at the Cato Institute and a former Special Assistant to President Ronald Reagan. He is co-editor of Perpetuating Poverty: The World Bank, the IMF, and the Developing World.